Back on November 26th 2016 I blogged about Planning for the future – a design challenge where I discussed the issues and some of you added your thoughts. The main issue was we wanted a design to tidy up the space behind the wall and between the yew hedges but this is an area that gets very little sun and we wanted it to be relatively maintenance free. Then on September 29th 2017 I blogged Planning for the future – a design challenge II which described in detail what we planned to do. Then at last work began. The main reason for the delay was the lack of availability of the contractor we wanted to do the work. Removing any old turf, weeds etc to give a level bed. Note the soil was excellent quality and we now have a large heap waiting for use else where. Then the design was very carefully marked out. Note the very large set square leaning against the hedge to assist this. The areas where there was to be bricks was then dug out and a thick weed membrane covered the whole site. Crushed quarry waste was then inserted to provide a base for the bricks. This may look complicated but it helps ensure no weeds come through in unwanted areas of the final construction. The success of this build depended on getting all the angles correct. The little yellow box on the tripod to the right of the picture is a laser leveling tool. This was set to the slope of the lawn and thus all measurements could be taken from this laser as the bricks were laid. A wooden template was used to get the angles correct and the course along the bricks straight. At the same time the height of the bricks were measured from the laser. Metal edging was put around the lawn to give a sharp edge and gravel inserted. The other areas between the gaps in the yew hedging was also paved in a similar way to create a unified design. The joints were pointed with a two part filler which produces a rock hard finish to prevent future weed growth. At this stage the contractors had finished! I had always planned to source the trees and plant them myself. First I prepared the planting holes digging out any rubbish and getting the soil levels right so that they could be covered with gravel. We decided to go with Sorbus ‘Autumn Spire‘ – narrow, upright small trees with excellent autumn colour once established. I wanted to find trees that were at least a metre high and these were supplied by Mail Order Trees. On January 18th 2018 the trees were finally planted and the gravel spread out. You can also see that having removed all the rubbish and piled up soil from this area the bottom of the wall needed some attention. And on 18th May these were beginning to achieve our vision for the area. The bottom of the wall having been cleaned up and repointed. The extra paved bits between the yew hedges really integrates the design. This photograph shows the final finish on the paving. And by 18th June the trees had already put on a significant amount of growth. They will need regular watering and some of the lawn needs some attention to establish good sharp edges. The contractors were Ben and Sam whose company Stonetree I would recommend to anyone needing quality work. It really has been too hot and dry to do much despite having been on holiday. That looks gorgeous. What is the little door in the wall for? thanks Josie. The little do is were the electrics and pump for the fountain on the other side of the wall is. the wall was originally (in the 1700s) a heated wall with hypercourses in the wall. The pump etc is now in this space. Thanks, we are very pleased too with the solution we have come up with for a difficult area. I really admire your dedication to design. It does indeed look amazing. Thanks Ali. It did take a long time but I always feel that good design is in the detail. That is stunning Steve. Looks as though it has been there for hundreds of years. I love brick paving and this is a great design. The trees will look fabulous in autumn. Your attention to detail is admirable. Brilliant. I love it when a plan comes together, the end result is beautiful and a bit of building maintenance is accomplished. Thanks Lisa. This was a job hat we that on our list for at least 15 years. Now it is done. Great! What a great solution making such a lovely low maintenance feature out of an awkward area. Thanks Elaine, we had many garden designer friends give suggestions, none of which we have used. In the end I came up with this design which seems to work. ‘Autumn Spire’ mountain ash is an unusual choice. It happens to be one of those trees that should be more popular than it is for confined spaces. Mountain ash just are not a trendy tree. They used to be more traditional within their native range. Hi Tony, As well as the space we were concerned about the closeness to a very old, large wall. Apparently Autumn Spire does not have a wide root base. So far I am very happy with it. The leaves are attractive and hopefully over time the autumn colour will be there. The flowers are insignificant but do have a pleasant scent. The berries of some cultivars are quite appealing as well. Some are more prolific than those of English hawthorn, although English hawthorn probably grows very differently there than here. I plugged two small seedlings of the simple (non-cultivar) mountain ash just for the berries. I want to determine if the fruit really is as good for jelly as I am told. 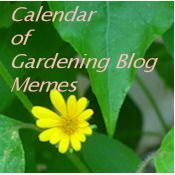 I have only just found your blog and want to say thank, my daughter and I came to your open gardens. It was a delight to walk round your beautiful garden on a perfect Sunday afternoon. You were so welcoming and ready to pass on your knowledge and enthusiasm. I was particularly taken with your compost heaps, it it possible to have compost heap envy I wonder? I must try harder, my challenge for the future, get mind in order! Thank you again. The garden looks lovely. I always look forward to seeing your garden on ‘ Open Night’ for those who open their gardens but sadly was working . Love your formal planting with the Sorbus. Our garden is a challenge of a different kind ! Difficult levels had to be overcome and do not have your garden scale for a grand design. That’s what I love about gardening. Always a challenge. A very unusual challenge now with the glorious sunshine. May need to adopt some Mediterranean garden practices if this is to become a regular occur acne ! Hi Sue, many thanks for your comment.